According to recent reports from Tehran to 'Human Rights and Democracy Activists in Iran‘, on 30 December 2012, Mr. Seyed Hassan Kazemeini Boroujerdi, 59 years old, apparently died of a heart attack just one day after visiting his brother, Mr. Seyed Hossein Kazemeini Boroujerdi, who has been jailed since 2006 in Evin Prison. Attempting to prevent followers of the imprisoned religious leader from gathering together, agents of the Regime forcedly took possession of the corpse of his brother in spite of objections from his family. These agents then transferred the corpse to an unknown place. His mourning family members were taken completely by surprise and are now worried that the regime will likely bury his corpse without their permission and in an unknown location. 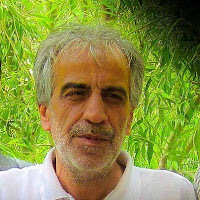 Because the Regime is afraid of any gathering of Mr. Kazemeini Boroujerdi’s followers and relatives, they also refused to grant him leave to take part in his brother’s death ceremony. Mr. Seyed Hassan Kazemeini Boroujerdi was a former employee of Tajrish Hospital in Tehran,. He was forced to retire by the authorities for political reasons, receiving no further payment or compensation, in order to punish him for merely being the brother of the imprisoned. He was also never given permission to get another job, or allowed to engage in any activities or relationships with others. It is a mystery and requires a legal investigation into how the regime was informed about his death, and how this “heart attack” happened just one day after his presence in Evin prison.